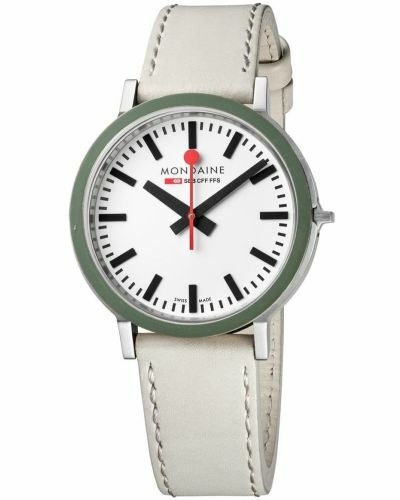 This striking men's watch is brought to you by renowned Swiss watchmakers Mondaine as part of their new stop2go BackLight collection MST.4101B.LB and features a 42mm stainless steel case and bezel. 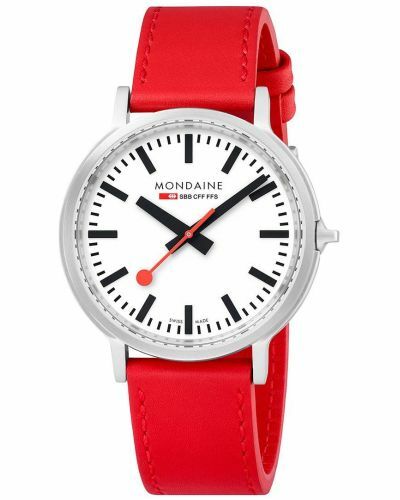 Housed beneath scratch resistant Sapphire glass lies the crisp white Railway dial complete with black hour markers, stick hands and the traditional red lollipop second hand. This watch also features luminous BackLight technology, a luminous coating has been applied to the back of the watch hands allowing for legibility in low light conditions without affecting the overall aesthetic of this watch. Powered by the stop2go Swiss Quartz movement, the red second hand ticks around the dial and stops at 58seconds before jumping ahead. This much loved feature is a nod to the clocks found within the railway stations of Switzerland. 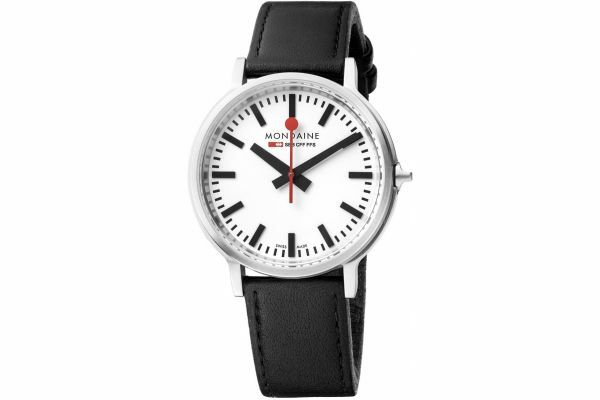 Set upon a 20mm black genuine leather strap and fastened by a secure stainless steel buckle; this watch is ideal for both formal and casual attire. Water resistant up to 30meters, the stop2go BackLight comes with a two year guarantee and official Mondaine packaging. 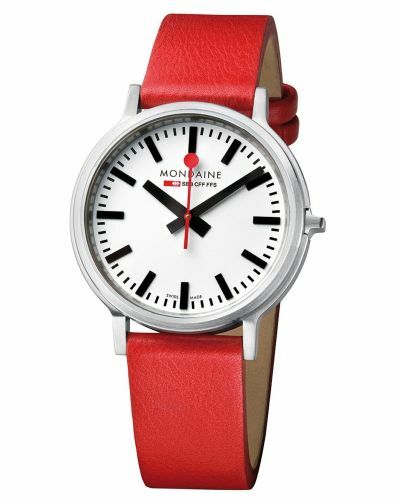 For us to size your new Mondaine stop2go watch as accurately as possible, please take a look at our downloadable Watch Sizing Guide.